One Planet Adventure in Llandegla has been crowned the winner of today’s North East Wales food challenge in a ‘taste off’ held at Coleg Cambria’s Deeside campus. Wrexham County Borough Council’s Destination Manager Joe Bickerton opened the finals by welcoming the judging panel from Coleg Cambria, and explaining how 14 restaurants had taken part in the competition. Mystery eaters had tasted all the dishes, with voting taking place to make up the final three. 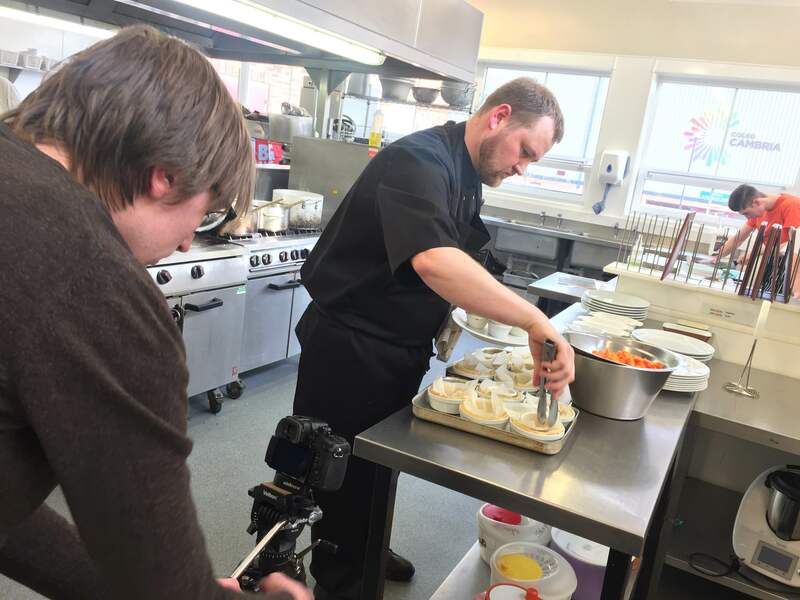 Three dishes were prepared fresh on site for the judges at the Y Celstryn restaurant at Coleg Cambria’s Deeside campus. 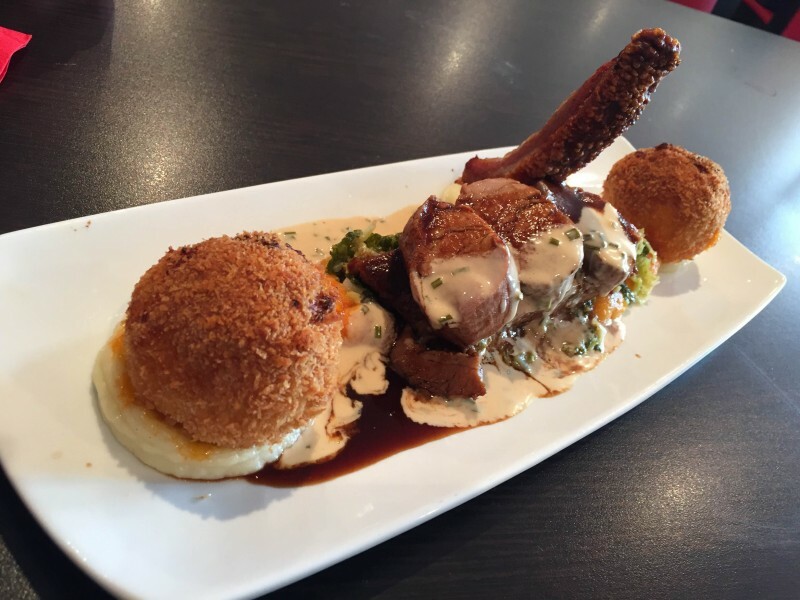 The Cross Lanes Hotel presented first with a Home Farm (Overton) tenderloin of pork, slow roast belly pork, tomato & pork sausage bon-bons, dragon buttered mashed potato, ponche mipe, savoy cabbage with wicked wasp cider (from Rosie’s in Llandegla) and garden chive cream sauce. 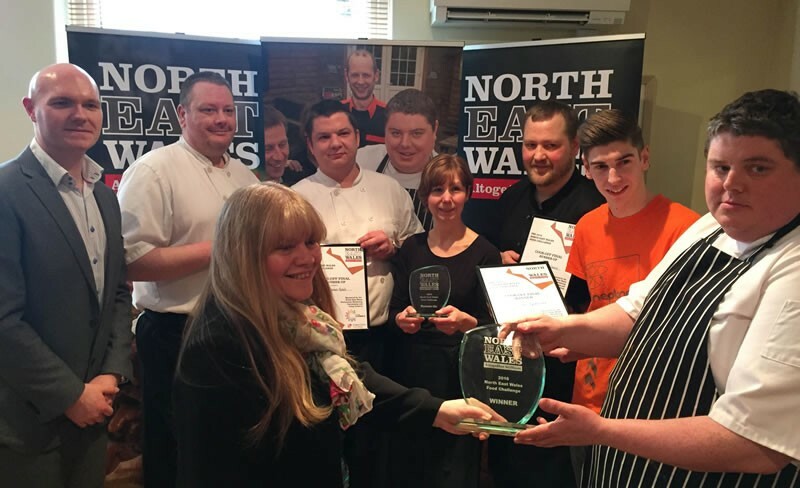 Vince from The Cross Lanes Hotel explained how it was an eight hour cooked belly pork, and the cider overtones were a ‘proper reduction’ for their first ever entry to the food competitions. Jon from Deeside.com agreed noting a ‘nice bit of reduction with the jus’, and it being ‘a hell of a plateful’. 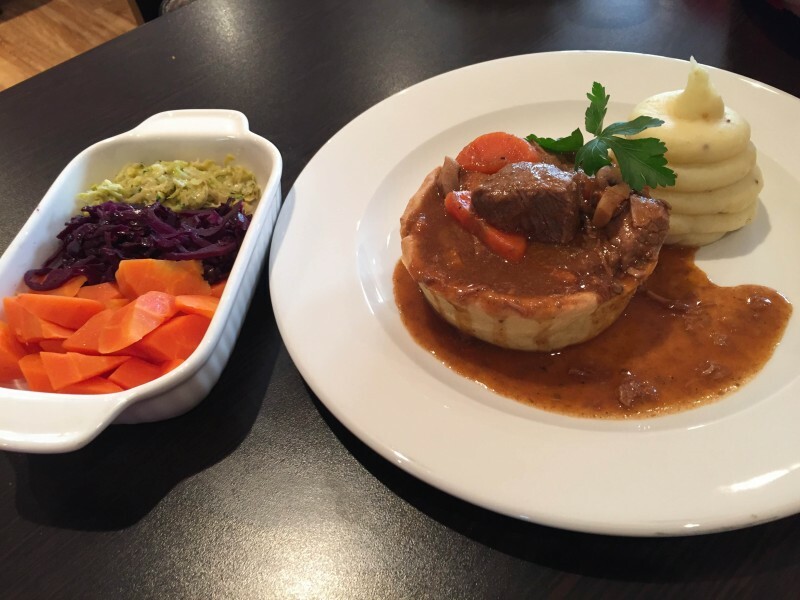 The dish had local beef gently braised with Mostyn kitchen garden carrots, onions, leeks and bay leaf with a good dash of Hafod ale and served inside a golden baked short crust pasty base. Served with our tasty mash made from Mostyn kitchen garden potatoes & a hint of Y mwstard Cymreig (Welsh wholegrain mustard with Welsh honey & leeks). The dish, like all, was delightful with Wrexham.com favouring the pie (for we are a pie and chips town) however Deeside.com focused on the veg, specifically the cabbage introducing us to the word ‘farinaceous’. 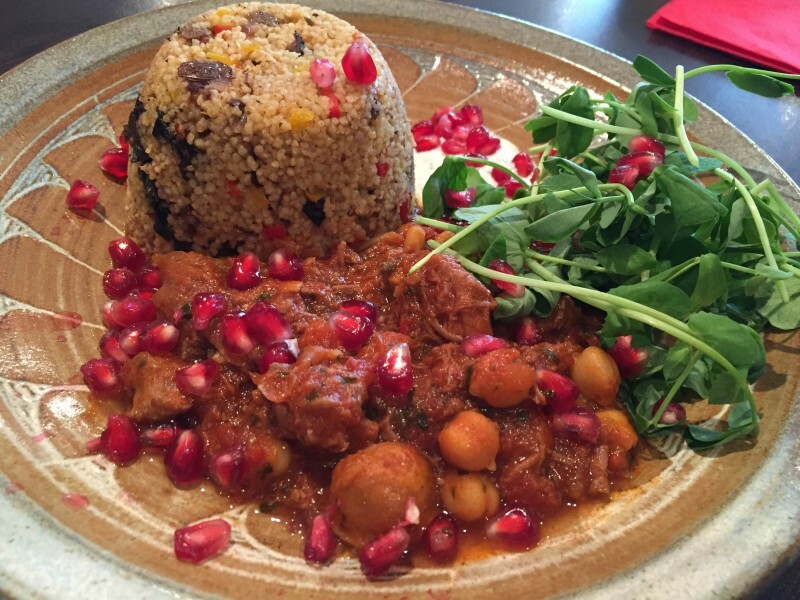 The third dish to emerge was a locally sourced lamb tagine (including their own crafted plate!) from the team at the cafe One Planet Adventure in Llandegla, the mountain biking centre. David Coates told the audience how the meat was sourced a farm ‘stones throw away’ from the centre, yoghurt from Denbigh, all following the strong theme of showing off what is out there in terms of north east welsh produce. After much deliberation from the judges, One Planet Adventure in Llandegla was crowned the winner of the 2016 food challenge. They were closely followed by Cross Lanes Hotel in second place and Afonwen Craft and Antique Centre as a runner up. The full range of entrants can be found on the NorthEastWales.co.uk site here, and we would of course encourage our readers to try as many as possible!